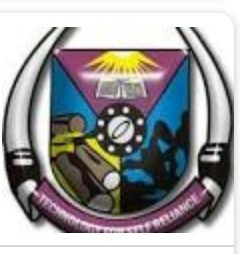 The Federal University of Technology, Minna School fees, acceptance fee and hostel accommodation fee has been uploaded here live for all to download. This means that this post is 3 in one. What does this mean? It means that we are not only going to show you the school fees structure of FUTMINNA but we shall let you know how much 100 level students pays as acceptance fee, then finally you shall get to know what’s the hostel accommodation is like. 2 FUTMINNA School Fees Schedule. 4 FUTMINNA Acceptance Fee Payment Details. Here you shall get the distribution of all fees you will have to pay immediately you become student of futminna. (a) Matriculation .. .. ..
(b) Convocation .. .. .. Organizations, Agencies or Individuals ..
Up on securing admission into Federal University of Technology, Minna, you need to pay what is called acceptance fee which shows that you have accepted to become a student of Federal University of Technology, Minna. We understand that all newly admitted students of Federal University of Technology, Minna wants to know how much they should pay at the bank, that’s the main reason this page was created to assist you all. We are using this medium to formally inform you that the Federal University of Technology, Minna acceptance fee is N20.000.00 (twenty thousand naira). For more details on how to pay your acceptance fee now. At the time of writing this article, we have no current idea how much the hostel accommodation fees is now but we understand that you have to book for hostel reservations at the student affairs unit of the institution or simply work up to the hostel manager for more details.